So I am back in Portland, and Portland is back to normal... no more snowy hell, for the moment anyway. My trip home was quite lovely. Here are a bunch of pictures, quite a few of which are shamefully bad quality... ugh. Sorry. This came right before I left. 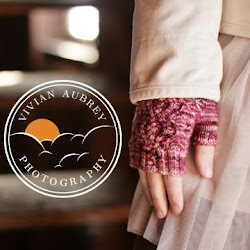 Recycled, hand-dyed yarn from Leethal, part of a fingerless glove kit. I made it into another Maner, but the change in gauge threw me a bit and it's a smidgen too small. No word as to whether I'll frog it or just put on a button loop. If you've ever been so "lucky" as to fly into Detroit, and into the correct terminal, you may recognize this as the color-changey, new-agey-music, hall of rainbow dreams. It leads you under the tarmac and distracts you from the long wait on the moving sidewalk by essentially placing you inside one of those "Light Show" air fresheners and soothing your furious flying nerves with some Enya-ish, trancey music. I kinda like it. 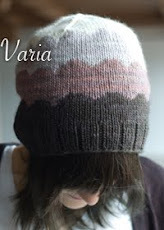 Hat for youngest sister (the hat for my other sister will also be sold in pattern form, so it'll get it's own post.) It's Madelinetosh Sock Yarn, in "Oxblood", held doubled. What a friggin gorgeous line of yarn, I tell you what. And you get quite a bit in the $30 skein, almost 400 yards. Last minute Noro socks for the boyfriend. He picked out the yarn. They're funny. This picture is terrible, and he's been wearing them around so they're all mussed up...but oh well. You get the idea. Cowl for a friend...some sort of red Malabrigo in "spider stitch". Hats for my boyfriend's parents- the photos are so bad I'm just going to link them. Both from Sarah's Yarns Mongolian Cashmere...a super great deal, though I've heard communication has broken down since I ordered this. I hope not. I made a black alpaca neck tube for my dad, but it's nothing worth posting really. And that is all the blurry, craptastic photographs I have for you today. Let's hope Portland gets some damn sun so I won't have an excuse anymore. Hott!! If you don't mind me saying. :D I've been trying to create my own boy knitter, he just hasn't had that last push into it yet!